This painting ‬ is finally complete. 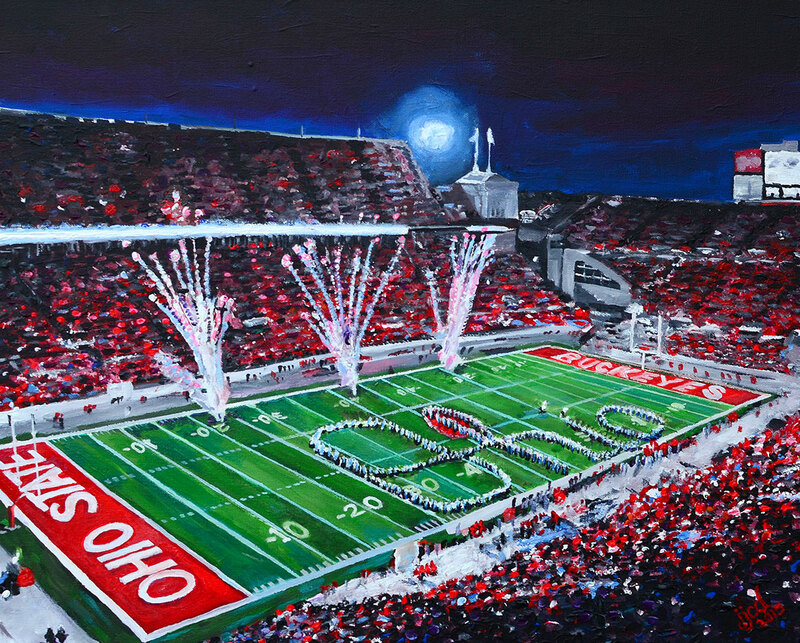 The Shoe at OSU | 20″ x 24″ acrylic on canvas by Jeff Johns and Colin Daugherty, JJCDcollaborations. This commissioned piece was inspired by Lynette Wyler who is a proud owner of another JJCDcollaborations painting of the Cincinnati Skyline titled, Cincinnati Suspension which you can see here. This entry was posted in artwork and tagged art, Art of Cincinnati, Art of Ohio State, Art Team Cincinnati, artist, artist that paint cincinnati, Artists that paint Cincinnati, artwork, Buckeyes, Cincinnati Art, Cincinnati Fine Art, cincinnati fine artist, cincinnati fine artist jeff johns, cincinnati Jeff Johns, Colin Daugherty, Colin Daugherty Fine Artist, Colin Daughtery and Jeff Johns, fine art, jeff johns, jeff johns creative, jeff johns fine artist, jefferyj.com, JJCD, JJCD Cincinnati, JJCD Collaboration, Ohio State Artwork, Ohio State Football, Ohio State Painting, Ohio State University, OSU, OSU Art, OSU Painting, OSU Paintings, Painting of Ohio State, Paintings of Ohio State University, Paintings of Stadiums, Satdium Art, Sports Paintings, Stadium Paintings, The Shoe at Ohio State by jefferyjohns. Bookmark the permalink.